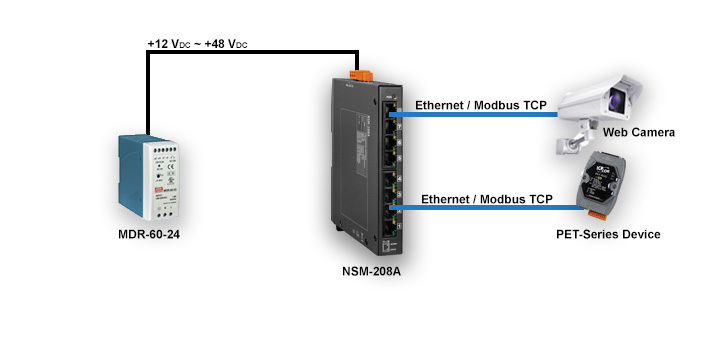 8 Ethernet ports that support 10/100 Base-TX, with a 10/100M auto negotiation feature and auto MDI/MDI-X function. Full duplex IEEE 802.3x and half duplex backpressure flow control. Supports operating temperatures from -40 °C ~ +75 °C.